Many people working in the coinage industry assume that all the silver eagles were created the same, which is a very big misconception. Traditionally, the bullion silver eagles always have a combined production of about 3.5 million dollars, while the proof coins are always less than three hundred and seventy thousand coins. You will find that a majority of these coins are inclined to trade at considerable margins over their actual value. 1) 1986 (Bullion American Silver Eagle) Close to 5,000,000 American silver eagles got minted that year, a figure that can easily be compared to the production of other silver eagles during the period between the eighties and nineties. The first American silver eagle was produced on this year, and this makes them to have a very high demand. If you are a collector, you can expect to pay as much as fifteen dollars for each coin. People with sealed boxes containing these coins tend to earn more on sale. 2) 1994 (Bullion American Silver Eagle) This is the first year when there was a reported decline in the production of eagle coin. All the coins being produced after this period were less than five million. During this year, only 4,227,319 coins in total were minted, and this represented a reduction of about hundred thousand coins from the last mint. Similar to the ’86 coins, these American eagle silvers are in high-demand and always attract a premium price. Traditionally, they tend to attract better prices than their predecessors with one-coin retailing at around eighteen dollars or more. 3) 1996 (Bullion American Silver Eagle) 1996 was a special year as far as coin mintage was concerned. It was the only year when the mintage of the silver eagles happened to be below four million coins. To be exact, the total number of coins that was produced in 1996 were 3.6 million coins. The fact that they were produced in small volumes means that collectors have to spend more if they want to acquire the coin. A single coin typically retails at around sixty dollars, and in some cases even higher. The certified eagles, e.g., MS70 versions are much more expensive and can retail for as much as one hundred dollars. 4) 1993 (Proof) This was the first time that the proof silvers got minted. Although the coins minted at the time totaled less than five hundred thousand coins, this was by no means the smallest ever mintage of the silvers. The number of coins minted on that year was 406,000 coins, and was about ninety thousand shy from the next mint. American silver eagles from 1993 have normally retailed at ninety dollars apiece or more. For you to maximize on the value of this coin, you must be in possession of the original paperwork from the government, and a box that is in top condition. 5) 1994 (Proof Silvers) 1994 was a special year as far as proof silver coins’ mintage was concerned. On this year, only 372,168 coins were minted, which made it the lowest number ever, the only variation being in the special edition proof coins. Compared to the coins produced in 1993, the coins produced in 1994 were fewer by around 34,000. Due to this comparison, many collectors have always expected the retail value of both the 1993 and 1994 coins to be almost similar, which is not the case. This is one of the most expensive silver coins in circulation today. A single coin retails at close to one hundred and seventy dollars. The coins are additionally very difficult to find as many collectors are always looking to add them to their collections. Any person looking to add this coin to their collection should be prepared to part with a hefty premium or forget about collecting it altogether. The coins discussed above highlight the 5 most valuable American silver eagle years, and are a representation of the coins that demand higher premiums as compared to their counterparts. From the discussion above, you can see that 1994, and 1996 American silver eagles are the most expensive due to their high demands. With these coins, collectors need to dig deeper into their pockets if they are to add the coins into their collections. You should keep in mind that the prices mentioned above are for the brilliant uncirculated proof and bullion silvers that are accompanied by a clean box and their original government paper work. The American Silver Eagle is one of the most appealing coins to collectors for three reasons – silver content, affordability and the beauty of the design. Therefore, there are many enthusiasts looking to create the perfect collection. Here are some helpful American Silver Eagle collecting strategies to get you started. Choosing between raw and proof Silver Eagle coins. Proof coins will immediately stand out to coin collectors that are in this for the beauty of the coins and craftsmanship. If you want to admire the finest detail in the casting, this is the best way to see the coins in all their glory. The coins are struck with dies to sharpen the images and create a pleasing effect. They may cost more, but some see them as a more worthwhile investment because of the quality. This value all depends on whether that craftsmanship or the silver content is the main priority here. If it is all about the metal, rather than the design, it might be better to go for a raw version. This is a coin prior to that striking process, which means the silver value is no lower, but the cost may be reduced. Creating a date run of coins from across the years. Both these raw and proof coins have been in circulation since 1986. Many investors will look to get the best collection, and best investment, by collecting one coin per year. Collectors can shop around with dealers and suppliers for a high quality coin from the right year and add them to the list over time. Coin collecting books, with designated slots, make this process much easier. Single coin collections from the different years is also more affordable for newcomers on a budget. You can get precisely the coin you want, at a fair price, and nothing more. This is radically different to American Silver Eagle investors that buy rolls of them on each production. Collectors that want high value single items can also look out for oddities and rarities over the years. For example, there is a 30th anniversary version of the proof and raw eagle with a plain edge. Look for NGC graded coins rather than PCGS ones. The grading system is an important factor in choosing the best American Silver Eagle Coins for your collection. Graded coins can be more expensive, but ensure a better quality coin. There are two reasons why NGC is favored over PCGS. First of all PCGS does not have a perfect grade 1999 coin. This means that those creating date runs are out of luck. Secondly, NGC coins are often better protected in stronger cases. This protects the coins from damage and impurities. These three tips offer a great starting point for those new to these attractive coins. Once you choose you method – either proof or raw coins – you can search for specific dates via this NGC grading system. This should ensure that you get the best quality coins at a fair rate. Gold and silver coins are not usually part of a retirement portfolio, but in the right circumstances, and for the right person, they add interesting and worthwhile diversification. However, a number of factors need to be taken into account before making the final decision and adding gold and silver coins to your retirement portfolio. When can you include gold and silver coins in an IRA? Physical gold and silver can only be included in a self-directed IRA, in this case a precious metals IRA (generally referred to as a gold IRA). To establish a gold IRA, a rollover from a current retirement plan, like a 401(k), into a self-directed IRA needs to take place. The funds are then transferred from the current trustee to the trustee of the new self-directed IRA. The IRS allows holders of self-directed IRA accounts to purchase bars and coins minted from gold, silver, platinum and palladium. 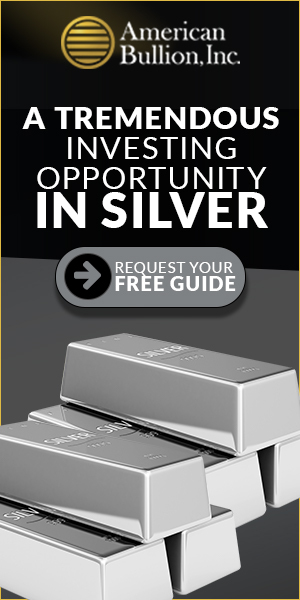 While gold has usually been the popular choice, many investors view silver as an asset with similar qualities to gold. Why would you include Gold and Silver coins in an IRA? The most important reasons for establishing a self-directed IRA include having control over retirement assets and the ability to diversify into assets that can’t be held in usual retirement funds. Gold and silver coins are typically added to a retirement portfolio when the owner considers them a meaningful way to diversify the portfolio. In an uncertain world it is vital to protect and manage your retirement savings. Precious metals have been seen as a good investment and a hedge against adverse economic conditions for centuries. These ultimate safe-haven assets can boost retirement plans as they allow you to protect wealth as much as possible. Who can benefit from a gold IRA? 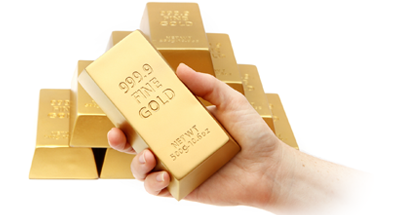 A gold IRA is economically viable when the IRA’s value is high. To get the biggest benefit from including gold and silver coins in an IRA, the investor needs to be able to cope with the costs involved. These include once-off costs like the seller’s fee and the retirement account set-up fee; and ongoing costs like custodian and storage fees. It must further make sense to have physical gold and silver in the portfolio, from a diversification standpoint. Depending on the specific circumstances, between 5% and 15% of the portfolio will be allocated to precious metals. Ideally you must be positive towards these metals as a protector of wealth and a longterm hedge against inflation. It’s also important that you are aware, and accepts, the risks involved. For instance, the fact that precious metals don’t pay interest or dividends and that there can be a downside involved, like a fall in the metal’s price. Which Gold and Silver coins can you include in a gold IRA? Only IRA-approved gold and silver coins are allowed to be part of a gold IRA. When you contemplate including theses coins, it is important to be aware of the coins that are acceptable, and those that are not. The IRS has specific requirements for assets to be included in a self-directed IRA. Basic requirements for a gold coin to be IRA-approved is that it must be 99% pure gold, and must be produced by a national government mint. For silver coins to be acceptable, they must be produced by a government mint and have a fineness of .999. There are specific gold and silver coins that can be included in a gold IRA, but you need to be aware of the coins that are not approved. These can be bought as collectibles, but can’t be included in your IRA. You need to establish a self-directed gold IRA if you want to include gold and silver coins in your retirement portfolio. 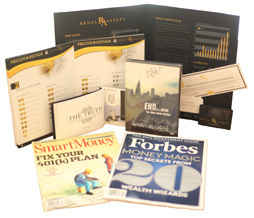 Only IRA-approved gold and silver coins can be included in a gold IRA. There are various costs, once-off and ongoing, involved, which means that the IRA needs to have sufficient funds available in order to make it a viable solution. The investor must preferably have a positive attitude about precious metals, and needs to be aware of the risks involved. The owner of this website, is a participant in the Amazon Services LLC Associates Program, an affiliate advertising program designed to provide a means for sites to earn advertising fees by advertising and linking www.silver-eagle.us Review to Amazon properties including, but not limited to, amazon.com, endless.com, myhabit.com, smallparts.com, or amazonwireless.com. © 2019 Copyright Silver Eagle Expert. All Rights Reserved.